WHEN a middle-aged boy player returns to London’s Globe playhouse during a terrible revival of Romeo and Juliet, she sets off a chain of events as great as any of Shakespeare’s entertainments, revealing a love story that lay hidden for decades, just beneath the lines of the script. Centuries later, an out-of-work Sydney actor connects the dots of this drama and is inspired to write a play, bringing him face to face with big life lessons in the art and politics of storytelling. The lives of these two unconventional players collide in a journey from Australia to England, from drama school to the professional stage, from male to female, from failure to success and back again, exploring the untold story of those who created the complete works of William Shakespeare. 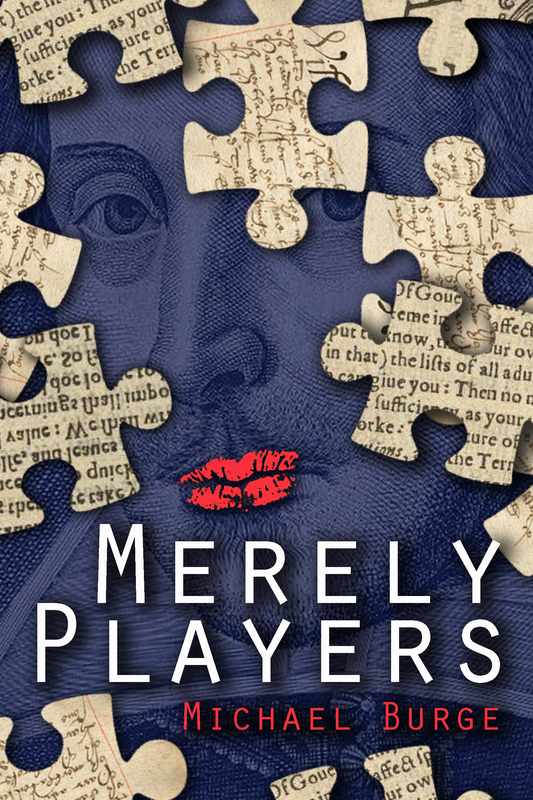 An extract from Merely Players: Acting like Shakespeare really matters. I go back to the place I have made for myself by the rack. Master Burbage sulks while the others begin to peel doublets over expanded bellies, revealing sweaty waists and backs. I notice Heminges undoing his hose on the other side of the rack, trying to conceal himself. ‘Masters, I have seen a man out of his clothes before, and not tried to make him mine, but if you’d be more comfortable hiding your glorious forms, I can wait upstairs,’ I say. ‘Nay, your place is down here with us. We’re not going to make a fuss about Master Tooley, now are we?’ Heminges asks. ‘Perchance you just sit by the steps and tell me if you can spot any printer’s boys in the crowd,’ Heminges adds. ‘You’re letting printers into the playhouse now?’ I ask, crossing to the stairs. ‘Much has changed since you were in the playhouse, Master Tooley. They’ll have real women playing soon enough,’ Condell says. ‘Don’t believe him, it will never happen,’ Master Burbage mutters into his lap. ‘And there’s never a rehearsal for the bit players, because there’s no lines apart from whatever you can drag up from within your receptacle,’ Condell adds, tapping the side of his head. I search the ceiling by the stairs, where that larger crack allowed the light to fall onto my mirror when I arrived. Three steps up, the view of the stage reveals itself. The sun has dipped below the highest gallery of the playhouse, where people sit talking and eating, some asleep against pillars or calling down to others in the pit. I glance back into the darkness below, to see Condell rushing to get his wide arse back into a fresh pair of hose before I can see him. ‘It won’t be much of a play, without all the lines,’ I say, eyes back on the crowd. ‘I did, but then one player of this playhouse took it upon himself to sell the contents of his receptacle to a printer, and when the little books of Master Shakespeare’s became so popular no printer was interested in paying for our plays anymore, they were only interested in stealing more of them. If I ever discover which player it was I’ll hang him by his balls from the top of this playhouse, but I could never catch him at it. I always thought it had to be a player who disappeared from our playhouse, and never dared show his face back here again,’ Heminges says. I glance down at them, three pairs of eyes, looking into me. Before I can say anything, a sudden round of trumpets announces the play. The crowd explodes into applause. ‘No-one is listening to you prattle, Heminges, ready yourself,’ Burbage says. ‘I have, but where is my Lady Montague?’ Heminges asks, offering the hat and veil to me. I don them without thinking, and reach for the sliver of mirror in my basket, by the steps, the light from the stage falling across my aged face. ‘Oh dear … I am not ready for this,’ I say, pulling the veil tight and slipping it under my chin. Heminges takes my arm in a strong grip. ‘You’ll soon be, duckie. A player who does not play has no place in a playhouse!’ he says, as we ascend into the light. Performance rights for Merely Players are available via the ePlay rights page.